Oatmeal is one of the most popular staple foods for bodybuilding. 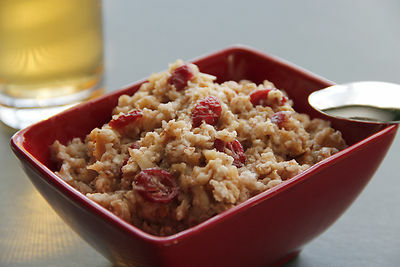 Oatmeal is the end result of adding water or milk to oats to cook it. 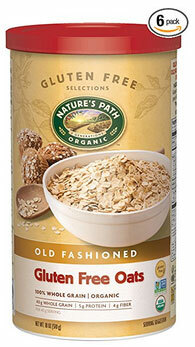 There are several types of oats like steel-cut oats, old fashioned rolled oats, quick oats, instant oats and oat bran. All these oats are healthy and great nutrition-wise, but always check the ingredients and nutrition label of quick and instant oats as not all are healthy, some can contain added sugars. If the only ingredient mentioned is oats, it's your best choice. The major difference between quick/instant oats vs old fashioned regular rolled oats is how small the pieces are cut, hence making a difference in the cooking time. 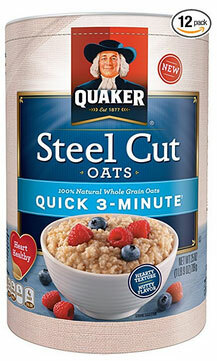 Quick/instant oats are actually rolled oats but in smaller pieces. 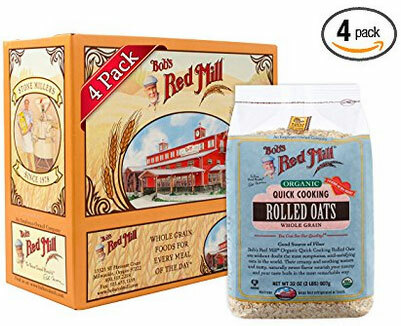 Rolled oats are actually derived from oat groats which consist of the cereal germ, the bran and the endosperm, this is why rolled oats are called whole grains. 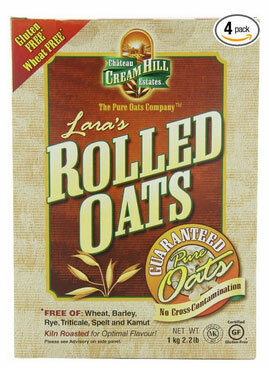 When you see 100% whole grain on the product label, you know you're getting the whole oat groats. 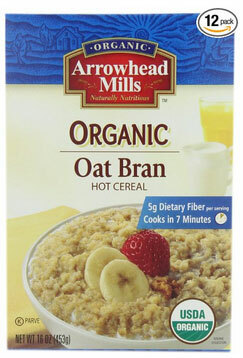 Oat bran just like its name says is made purely from the bran of the oat groats hence it's not a complete whole grain. 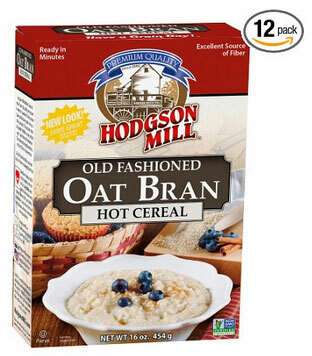 The bran is packed with fiber, oat bran contains 15 grams of dietary fiber per 100 grams whereas rolled oats 10 grams of dietary fiber per 100 grams. 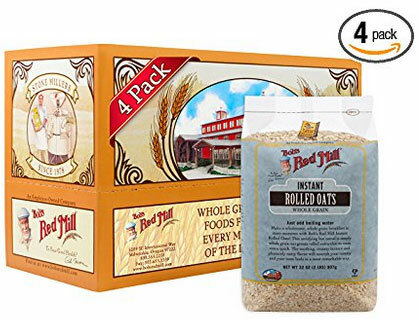 People will usually call oatmeal when it's made from the whole oat groats like rolled oats, quick oats, instant oats, steel-cut oats, so oat bran is not oatmeal but since it's in the same family and offers the same health benefits, I've added oat bran in this article. 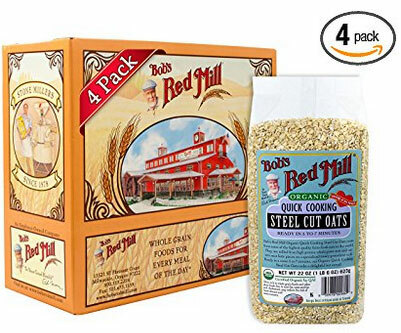 Steel-cut oats also known as pinhead or Irish oats are the whole oat groats which are chopped in 2-3 pieces with steel blades and require more cooking time usually and many prefer let it soaked overnight. 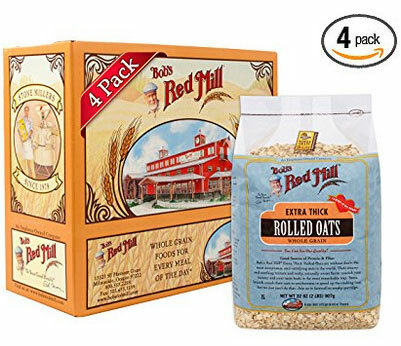 In their uncut state, they are known as oat groats, so it's a basically unprocessed product as compared to rolled oats whereby the oat groats have been steamed and rolled/flattened into flakes during production to speed up the cooking process. Oatmeal is rich in complex carbohydrates which are slow-digesting carbs that provide a steady supply of energy throughout the day. As compared to simple carbohydrates, there is no insulin spike followed by a crash later on. With complex carbs, you'll feel energetic for several hours and these are favored by bodybuilders since they help them go through their workout with ease. Apart keeping you energetic, complex carbohydrates are essential to give your muscles a fuller look. Protein is not the only nutrient vital for muscle building, if you rely on protein alone, your muscles will look rather flat. Complex carbohydrates like oatmeal also provide a major benefit that is making you less prone for fat storage due to their sustained release of energy. As you might know, carbs convert to glucose or sugar into your blood for energy but when they convert fast(usually the case with simple carbs), this makes you more prone for fat storage particularly when your body doesn't have enough time to use all that glucose for energy. Consequently, the excess glucose will get stored as adipose tissue(body fat). A great start of the day will be a big bowl of oatmeal for breakfast. In 1 cup of oats(156 g), there are 103 grams of complex carbohydrates. Although bodybuilders don't depend on complex carbs for their protein intake, it's a bonus to have some protein derived from carbohydrates. For vegan bodybuilders, oatmeal can be a great muscle-building food since it's high in protein. One cup of oats yields 26 grams of protein. and they need to have enough fiber to prevent constipation, so including oatmeal in their diet is a good thing to do. Healthwise, oat fiber extract contains the soluble fiber beta glucan which has been proven to lower low-density lipoprotein(LDL also known as bad cholesterol) and total cholesterol. 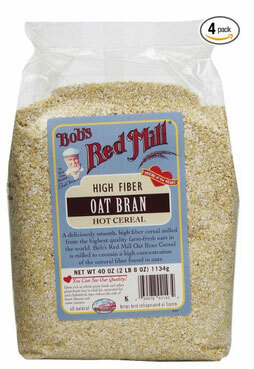 A cup of oats gives 16 grams of dietary fiber which is quite a lot. Eating foods which have low saturated fat content are one of the goals for bodybuilders and having oatmeal is one of the best things to do for that. 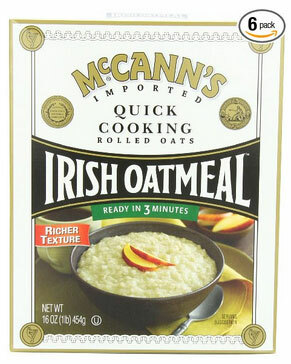 Oatmeal is low in saturated fat with only 1.9 grams for 1 cup(156 g). Too much saturated fat is bad for the heart and can potentially lead to strokes and cardiovascular diseases. 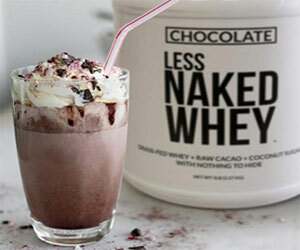 Fats are an important part of a bodybuilding diet as they aid in protein synthesis but not any type of fat. Saturated fats, trans fats and hydrogenated fats should be avoided or limited and healthy fats should be included instead. Healthy fats include omega-3 monounsaturated fats and polyunsaturated fats and in one cup of oats, you have 3.4 g and 4 g respectively. Omega-3 fats will also increase your good cholesterol levels(HDL aka high-density lipoprotein) while decreasing your bad cholesterol levels(LDL aka low-density lipoprotein). 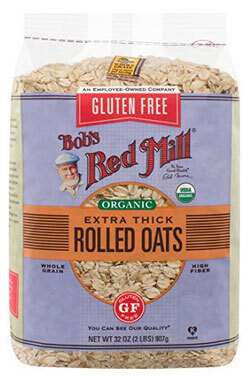 Oats contain a good amount of iron at 7.4 mg for 156 grams of oats. Iron is a mineral which is essential for the creation of hemoglobin(healthy red blood cells). These aid in carrying oxygen to your muscles during your workout. Magnesium is an electrolyte which can play an important role in muscle building as it helps relax the muscles and nerves and can also prevent muscle cramps. In 1 cup of oats(156 g), you can have 41.6 mg of magnesium. To make your oatmeal creative, you can add bananas, blueberries, cranberries, raisins, honey, maple syrup and so on. Whether you're into bodybuilding or not, oatmeal is one of the best foods you can have because not only is it nourishing but it can also help guard against numerous health issues like diabetes, high blood pressure, cardiovascular diseases, high triglycerides, bad cholesterol levels(LDL) and even cancer. 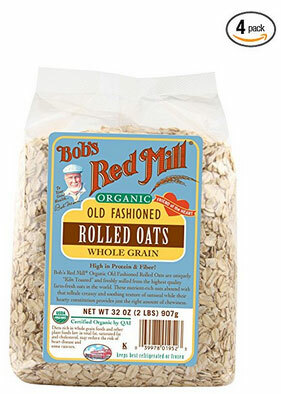 Here are some of the best rolled oats, steel-cut oats and oat bran for bodybuilding.